Because there are so many myths surrounding Orthodontistry and the process of getting braces, we wanted to combat a few of those myths right here for you, because we want the path to your new smile to be as clear as possible. Braces are big and silver! False. 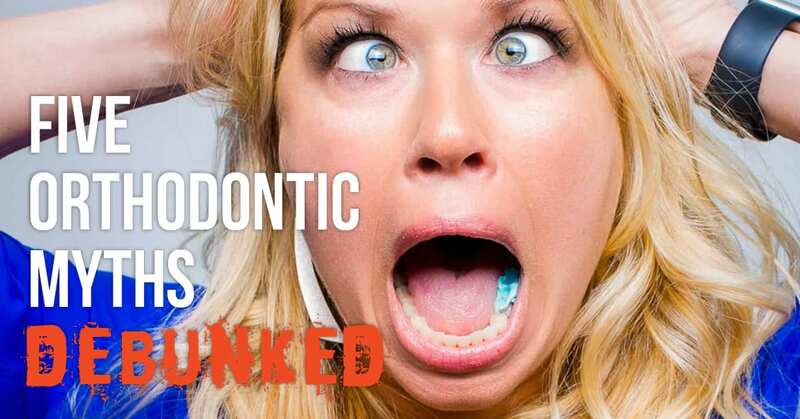 We’re so grateful to oppose this myth with Clarity Advanced Ceramic Braces with an unbeatable aesthetic! You can safely straighten your teeth on your own using one of the online companies. Please hear us say that this is false for numerous reasons! Your out-of-pocket expense is greater if Kanning Orthodontics is not listed as an in-network provider. False. We actually do accept almost all insurance on an out-of-network basis! Those squishy impressions are necessary to make retainers. False. We use a spectacularly easy digital scanner instead. Ask us about it! You have to have a referral from a dentist in order to set up a consultation. False. Just give us a call! Hopefully, this cleared up a few misconceptions for you! Feel free to reach out to our office for more information.